Federal employees returning to work after the shutdown might be feeling less than enthusiastic about picking up where they left off. Few people anticipated that the shutdown would go on for so long, and many employees have been working without pay. 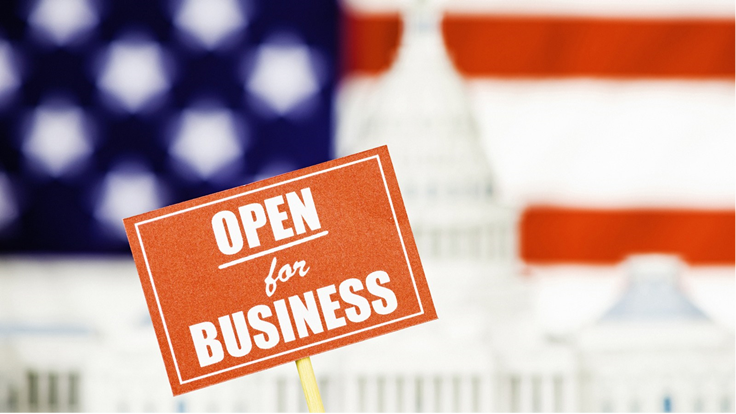 To support returning employees, and to return to normalcy as quickly as possible, consider the subtler ways that federal employees have been impacted by the shutdown, and learn what you can to do to ease their transition back to work. Loss of Pay: The loss of pay hit hard, and for many, it created a downward financial spiral. As bills go unpaid, fees accrue, and credit scores dives. Federal employees are also prohibited from receiving some benefits that could have replaced lost income. Increased Workload: Employees will be digging themselves out of their backlog and putting out metaphorical fires for weeks to come. Stress levels will be heightened for the immediate future. Employees who worked through the shutdown may feel acutely stressed, especially if they carried the workload in the absence of their furloughed colleagues. Loss of Routine: It was impossible to predict when the shutdown would end, which made it difficult for furloughed employees to establish new routines or make long-term plans. It is challenging enough to have your routines, but without a replacement of a meaningful routine, many employees are likely experiencing a sense of unease or restlessness. Loss of Community: For many, the workplace is home away from home. Most furloughed employees were prohibited from communicating using government phones or email accounts, so they were suddenly cut off from their closest community. Employees are also experiencing a range of emotions that they are carrying with them as they return to their posts. Observing these emotions will help you understand how best to intervene, and how to prevent strong emotions from becoming another disruption. Disrespected: Federal employees might feel like pawns in a political game. The American public looks to employers to play the role of provider and caretaker. Being denied a paycheck probably feels, to many, like an insult. Disadvantaged: No one quite saw this shutdown coming, and it’s quite likely that most employees didn’t account for such a situation in their personal or financial planning. Disoriented: After being away for weeks, employees might have trouble readjusting or focusing on work. With a backlog of work and anxious contractors waiting, some employees might be unsure of where to start digging in, or what tasks to prioritize. Overwhelmed: For many, the shutdown added stress to their lives. While their work piled up, so did their bills. Most employees are not returning feeling rested, but even more stressed. Concerned for others: Federal employees might be carrying additional worry for their friends and colleagues who have been affected by the shutdown. Supervisors and managers who take on the role of caretaker as part of their formal responsibility, might especially feel loaded with concern for employees that they supervise and support. Scared: Employees will likely be scared about the prospect of another shutdown, and some might feel shaken by the sudden instability of employment in the public sector. Falling back into steady patterns and workplace routines that feel anything close to normal will be hard, and it will take quite some time, even longer to feel fully reengaged. Here are four steps you can take to help employees let go of negative emotions, reconnect with each other, and resume operation as a competent and capable workforce. Direction: Given how much work might be waiting for employees when they return, they might need assistance sorting through and prioritizing what to focus on. Some initiatives might need to go on hold or fall away while attention gets devoted to the most visible or impactful projects. Jump in. Make decisions. Help employees get back to work quickly by helping narrow their focus and reducing the number of tasks they need to complete. Community: It might be tempting for employees to stay heads-down in their work until they catch up, but it will be important for employees to restore a sense of community. Employees will need to feel a sense of “we are all in this together.” Bring employees together to help them connect as friends and colleagues, or in collaborative meetings where they can identify ways that they can support each other, in their work and personal lives. An opportunity to vent: Employees’ emotions will be on the surface or just below it. Create an environment for employees to talk about how they have been impacted by the shutdown, and what they are concerned about as they return to work. Simply inviting employees to vent will help release some of the tension, will affirm to employees that they are in this together, and will help employees restore a sense of kinship and camaraderie with their coworkers. An open-door policy might not suffice. Reserve time for these conversations, and don’t incorporate it into a regular meeting. Specifically, invite employees to put their work down for a set period and come together for the sole purpose of processing their experience. Protection: The long length of the shutdown certainly raises concerns about whether another shutdown is likely in the future. To help ease the fears of returning employees, outline what your and/or the agency is doing to mitigate the impact of a future shutdown. This can also be a collaborative conversation to solicit employees’ ideas. Being back to work does not yet mean that everything will be just as it was when you left. Take time to ease into the transition and set realistic expectations about what employees can accomplish until things fully settle back down. Provide clear guidance and direction, letting employees know what they should prioritize and how you can help them. Help reduce any impact the shutdown has had and keep all your fingers crossed that this is the last furlough for a long time. At ADR Vantage, we provide the following support services and collaborative processes to help employees address workplace tension and resolve conflict.